Complete ring with .50 cttw diamond center stone priced at $4,980. Covet duo diamond ring is curvaceous and enchanting. A ring to treasure. 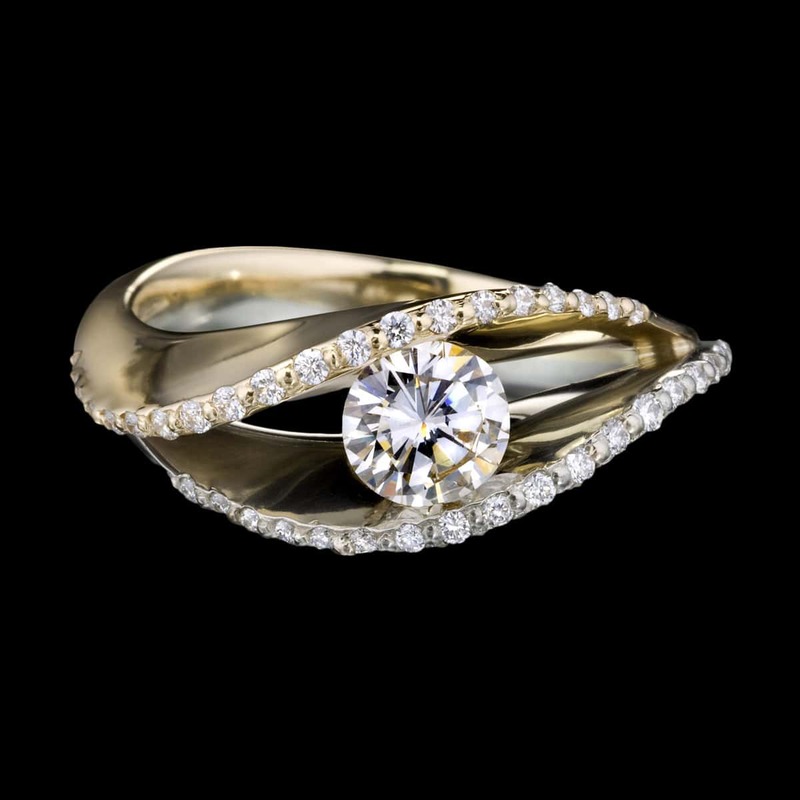 This setting in two tones of gold features sweeping curves and includes .21 carats total weight of accent diamonds. Also available without accent diamonds, pricing on request. Looking for the perfect center stone? We offer GIA expertise and competitive pricing for diamonds and colored gemstones. If you already have a center stone we can set it for you. To purchase, call us at (949) 715-0953 or use our contact form below.